There weren’t a lot of small-form-factor systems years back, but things are different these days. More and more PC components and hardware are available in much smaller sizes, including graphics cards. Although yes, the amount of low profile or mini graphics cards isn’t enormous, but there are definitely more available now than there have been before. The best low profile graphics cards however, can stack up quite firmly against their full size counterparts. Fortunately, low profile video cards can be bought in the market right now and they come in high-end single-GPUs. So if you’ve been wanting to build a small-form-factor gaming PC, now could be the right time to do so. Let’s help you with that. In this guide, we’re going to take a look at ten of the best low profile graphics card available in the market today. These are your options that will suit your needs whether you have a limited budget or a larger one. But first, let’s discuss what you can get out of low profile graphics cards. Here are the advantages of mini video cards, how they differ from regular size ones, and how you can use them to your full advantage. You’ll love how these video cards are slimmer than the regular sized ones. This gives you the liberty to fit them in low profile or slimmer cases. You can also fit them in regular ATX cases if you want a more spacious cabinet. Most of these cards come in a single slot, but thee are powerful ones available in double slots as well. Due to the fact that they come in smaller fans, these cards are relatively less noisy. In fact, some low profile graphics cards have no fans at all and only come with passive cooling. Cards without fans are known as passively cooled low profile graphics cards and they make no noise at all. If you hate a lot of noise coming from your gear, this should be the card you should get. It consumes less power, but they can be powerful. Because of their lesser components and mini size, these cards only require a bit of power compared to regular sized graphics cards. 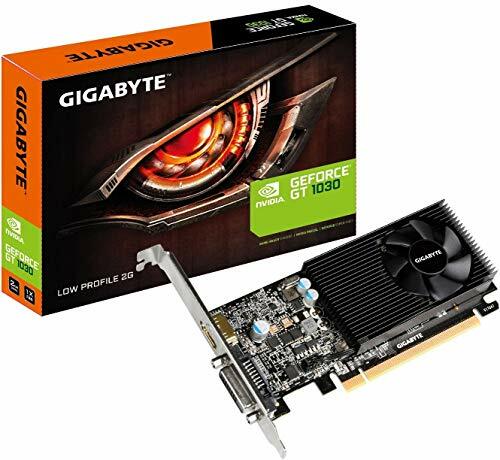 In fact, most low profile graphics cards do not require an external power connector and will work via the PCI Express slot. You also don’t need a huge wattage power supply for these cards. Of course, these cards are definitely cheaper. There are ones available for less than a hundred bucks and some powerful ones will only cost you a bit higher than a hundred. The name of this mini graphics card says it all: NVIDIA names their gaming video cards GeForce GTX while the regular ones for general use are called GeForce GT. This means that the GT 1030 isn’t exactly marketed for gamers, but for general use on desktop computers that require a video card. One of the best features of the GT 1030 is its low power consumption. You don’t need an additional power connector for this because its TDP is only 30 W. It also allows the makers of this card to build it with passive cooling or with compact cards in half height. The GeForce GT 1030 has a base clock of 1,227 MHz and a turbo clock of 1,468 MHz. It is based on the GP108 processor, designed under 14nm technology. It uses a 64 bit bus, accessing 2 GiB of GDDR5 memory at 6 GHz, setting the bandwidth at 48 GiB/s. 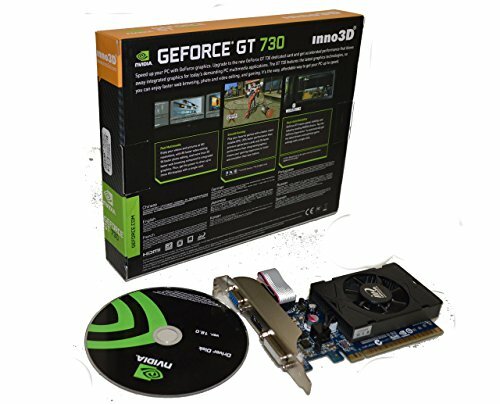 The specs of the GeForce GT 710 is definitely that of an entry-level product. With just 1 GB of DDR3 memory, connected via a 64 bit bus and 192 CUDA cores, it’s clear that this video card isn’t for those who need extra high performance. Though it’s faster than many of Intel’s other integrated graphics solutions, this card isn’t bought for its speed but more so for its features. 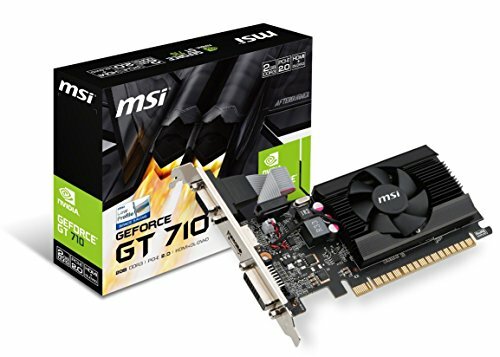 The MSI Gaming GeForce GT 710 gives you DVI-D and HDMI outputs and if you use the right peripherals, it can display 3D content on supported displays and TVs with support for 7.1 surround support and billions of colors. You can output multiple ports simultaneously for multi-monitor setups, but it lacks a DisplayPort. If you drop the refresh rate to 30Hz and 24 Hz, you can set it up to 3840×2160 and 4096×2160 respectively over HDMI. 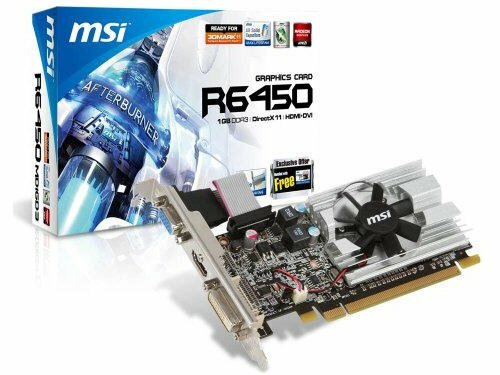 This one affordable mini graphics card that offers integrated graphics, but the Radeon HD 6450 is only suited for casual gaming. It’s safe to say that the HD 6450 comes in right at the bottom of AMD;s new graphics card line. 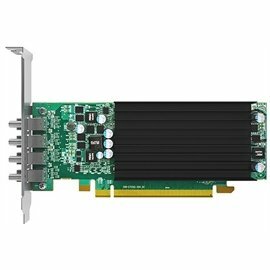 It’s a fairly small card that’s only just longer than the PCI Express x16 slot it sits in, and it doesn’t need an external power source. All the power is drawn from the slot itself. The HD 6450 is also quiet and half-height, so if you have a slim media center PC, this will be a good card. AMD is marketing the HD 6450 to be combined with an AMD process in order to compete with Intel’s Sandy Bridge chip. The company says the combination is more powerful but is relatively cheaper. Specs aren’t at all super. It has a 750 MHz core speed and 512MB of DDR5 memory running at 900 MHZ, with 160 stream processors. It’s an entry level product, but if you need a low profile graphics card immediately, this card will do its job. The 1050 TI only comes in a 4GB trim, which is just enough graphics memory if you want to play some games without the glitch. When compared to the regular GTX 1050, which only comes with 2GB, this card fares better and has the potential to be futureproof. The GTX 1050 TI works quite impressively in terms of 1080 gaming, and in fact is one top rated low graphics card in the market. 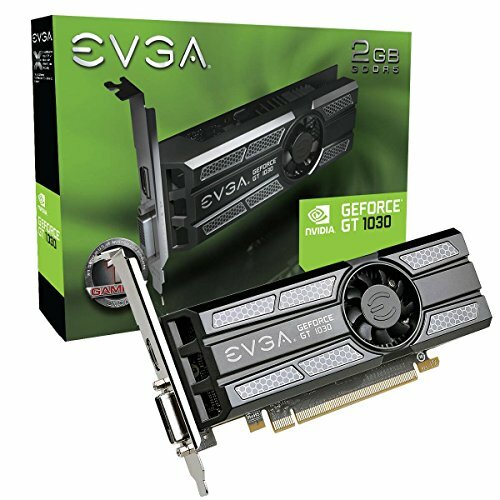 If you’re not ready to invest on a higher NVIDIA or simply don’t want to, the GTX 1050 TI is good enough and it’s half the price of the next card up, the GTX 1060. Beyond 1080, you can’t expect much, but it’s still an excellent choice when it comes to mini video cards. 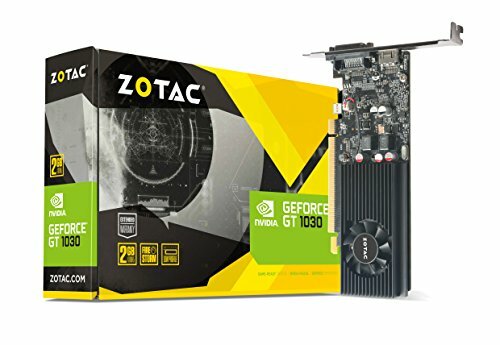 The ZOTAC GeForce GT 1030 is a mini video card based on the latest Pascal GPU architecture from NVIDIA. It comes with 2GB GDDR5 video memory and 384 CUDA Cores. 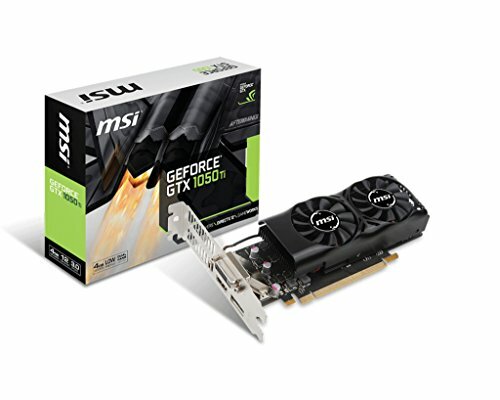 This is an ideal low profile graphics card for gamers on a budget who are keen on older gamings on high settings and eSports games as well. It’s also possible to play some of the newest games but in low settings at 720p resolution. GeForce GT 1030 is a single slot video card with a small heatsink and fan. It works great for normal work, watching Blu-ray and FHD, casual gaming, and video editing. It’s more powerful than an integrated graphics solution as well. This low profile graphics card is compact and will fit mini ITX, mini tower, and slim tower cases easily. It does not require auxiliary power connectors from the PSU and only consumes a maximum of 30 W. To make it work on your PC, simply use a 300 W PSU. Connectivity-wise, this card comes with HDMI and DVI ports. The GT 1030 is an ideal choice if you want a mini graphics card that won’t cost you more than a hundred bucks. GT 1030 uses a mint graphics processor called GP108, which is composed of 1.8 billion transistors. It’s an incredibly tiny thing at just 70mm2, all thanks to the same 14nm FinFET process used to design the GP107. This card isn’t marketed for gamers but only for general desktop use. However, it does allow you to play older games at a higher setting and allows you to play eSports titles as well. You can watch Blu-ray, edit videos, and it’s more powerful than an integrated graphics solutions too. NVIDIA also managed to overcome the deficits in GT30 with higher clock rates. There are better mini graphics cards in the market for sure, but this is included on the list because this is video card that grown on you. 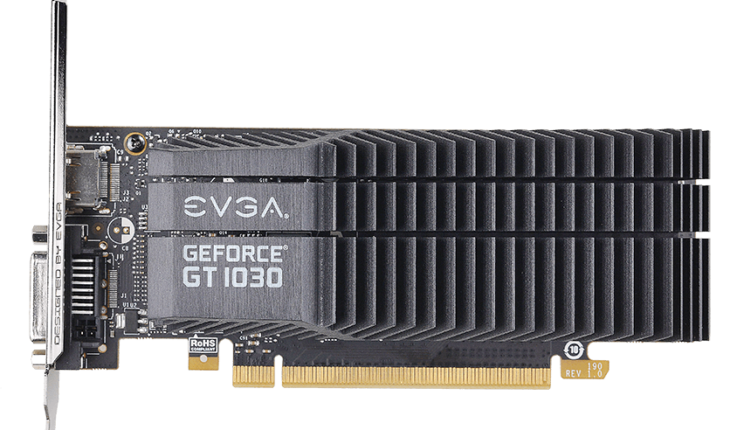 It’s not the first choice, but for something that offers ample graphics assistance at a very affordable price, the EVGA GeForce GT 1030 is an idea choice. The MSI MSI R5604TPC RX 560 4GT has all solid capacitors expected to last a decade under full load. It makes video task more efficient whole utilizing low temperatures. For higher stability, it has an aluminum core. 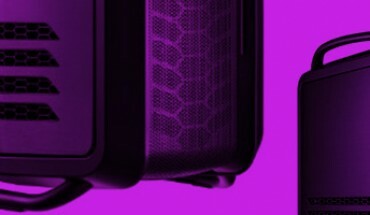 The thermal design dual fans ensures that it covers more area of heatsink so your gear won’t overheat. As with most low profile graphics cards, the MSI R5604TPC RX 560 4GT comes in just the right size that allow you to save more space. It will fit smaller or slimmer systems. It has an Afterburner Overclocking Utiliity and can be controlled remotely via iOS or Android devices. You can play lots of games using this card and it also allows in-game video recording. For smooth and fast gaming, the AMD FreeSync synchronizes the display refresh to your Radeon RX Series GPU. Other specifications include: PCI Express x16, 1024 stream processors, has 1 DisplayPort, 1 HDMI, and 1 DL-DVI-D. 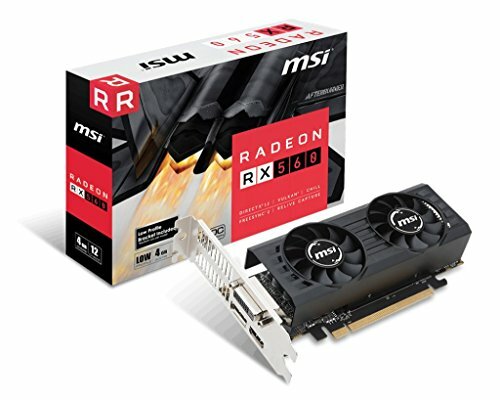 The MSI R5604TPC RX 560 4GT has a boost clock of 1196 MHZ and is 4GB 128 bit GDDR5. The ATI FirePro 2460 multi-view is the new ATI Eyefinity technology based quad output card created for users who want a professional multi display. This is the first low profile quad mini DisplayPort capable solution that offers users the option to support huge screens in high resolutions while at the same time capable of running even the tiniest PCs. For those who want to save space, this card is the ideal solution. It is a small form-factor component but it’s advantages are huge. You get high-res and high quality displays capable of support 16 megapixels of display data. For those who really want their PCs to have multi monitors, this mini video card can do just that. If you want to make your PC experience faster, upgrade your integrated graphics to the Inno3D NVIDIA GeForce GT 730 dedicated card. This low profile card will allow you to enjoy photos and videos on HD, makes browsing five times faster, photo editing up to nine times faster, and video editing up to eight times faster, that according to the designers of course. As for gaming, the company assures users of three times faster performance than integrated graphics, so your gameplays will always be smoother and more seamless. The C420 is a low profile graphics card capable of driving four different displays with resolutions of up to 2560 x 1600. It can be passively cooled and is available in single slots, driving up to six displays. Some say that the C420 doesn’t belong to the low profile category, but it’s marketed as so, in spite of being able to handle 4K panels. But you’ll never know if it works if you don’t try. According the manufacturer, the multiple displays operate at 30Hz. Should You Get a Low Profile Video Card? If you’ve been always interested on planning and building a gaming computer inside a micro ATX or mini ITX case, then yes, you should get a low profile video card that will fit inside it. Any of the cards mentioned above should work for you and most of them are available not more than a hundred dollars. They’re affordable, but they deliver according to what they’re intended for. However, if your needs are more at the higher end, opt for standard size graphics card instead.